Building creates new research and career opportunities at UMass and boosts STEM workforce in Massachusetts. Representatives from the State and University of Massachusetts system. 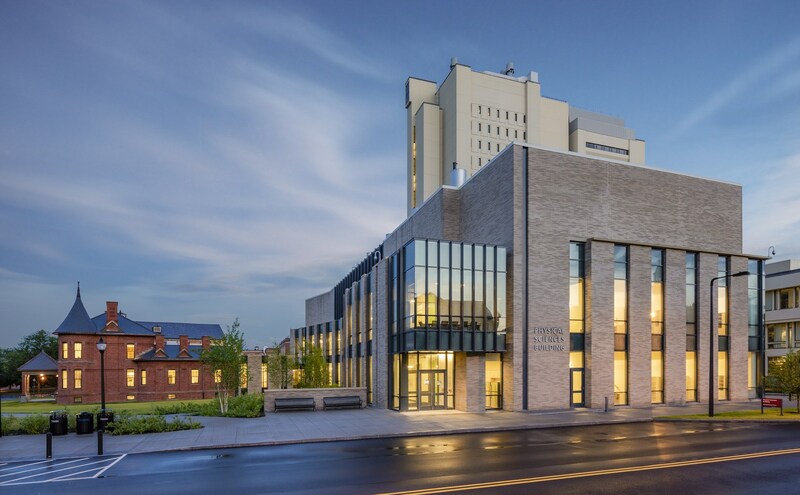 The University of Massachusetts celebrated its newest campus addition, the Physical Sciences Building designed by Wilson HGA, with a highly attended ribbon cutting ceremony on April 4th. The highly sustainable facility houses specialized laboratories, conference space, and offices for the departments of Chemistry and Physics. 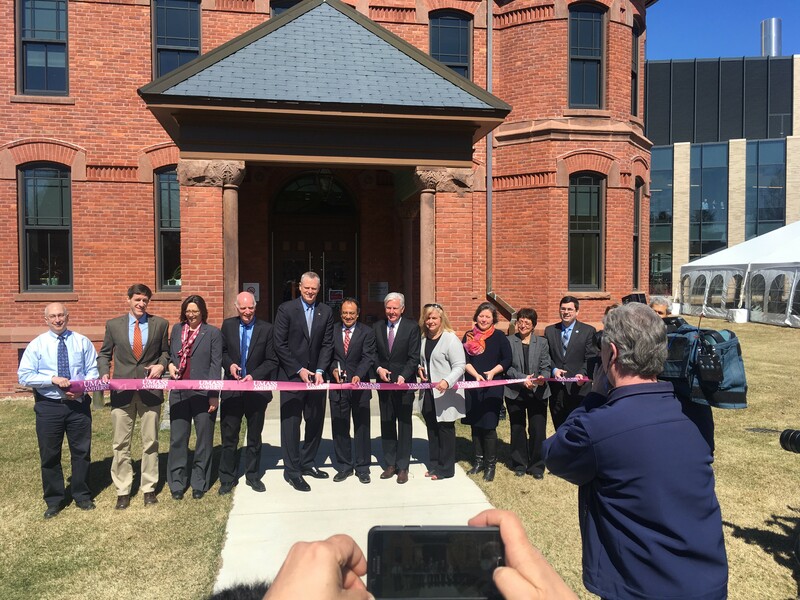 The project also included renovations to the West Experiment Station (WES), once an agricultural soils research laboratory dating back to the 1890s. The WES was dismantled, and its parts catalogued and reconstructed atop a fireproof skeleton in a new location, aligning it with neighboring science buildings on campus. The result is a near-exact replica of the original WES, centrally located and back in full-time use. The two facilities successfully address the University’s goals for growth, transparency, and academic presence of the Sciences on campus. The project advances the University’s mission of supporting STEM research and strengthens UMass-Amherst’s position as a top-tier public institution. Key invitees in attendance were Governor Charlie Baker of Massachusetts, UMass President Marty Meehan, and University Chancellor Kumble Subbaswamy. Wilson HGA team members included Bill Wilson, Jacob Werner, Cristianne Peschard, and Matthew Ellsworth. For more information, visit UMass Amherst News & Media Relations, and view related Video of WES restoration.